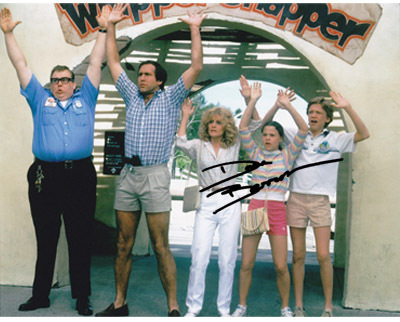 Vacation fans would love to have this shirt gifted to them after Clark, Ellen, Rusty, & Audrey got back from their beloved Walley World. Be happy that you didn't take the whole tribe cross country with this exclusive DanaBarron.net T-shirt. 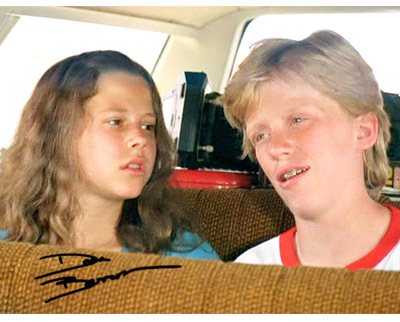 Available: Signed by Dana Barron and Unsigned. 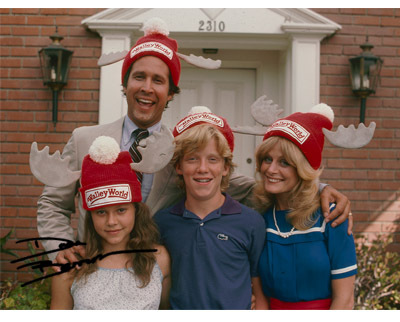 Show off your love for the "Moosiest Moose You Know" with this Walley World hat modeled after the one made for the Griswolds in the first movie. 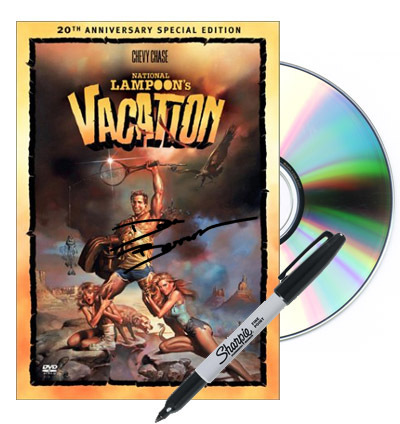 This Blu-Ray DVD of the 1983 classic comes Autographed by "Audrey" herself, Dana Barron. ORIGINAL DIALOG & FIRST ENDING! 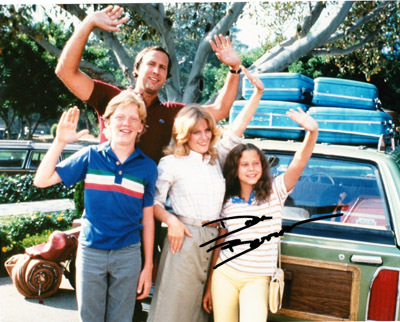 Tag along with Clark and his crew as they load up in the Family Truckster and head to Walley World. 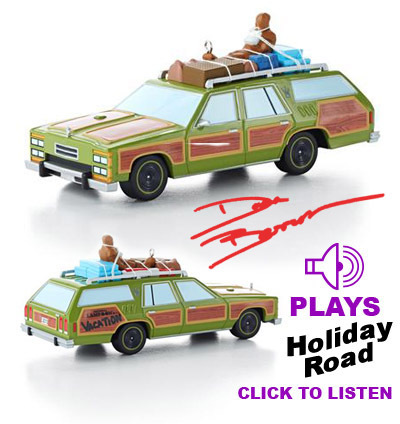 Press the button to hear music from Holiday Road performed by Lindsey Buckingham. "Find a bush Audrey! 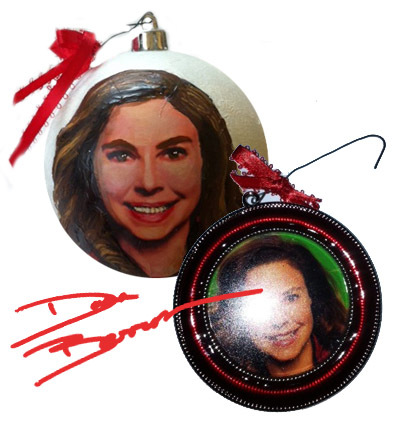 "(or a Tree) and hang up an exclusive Old Navy Audrey Ornament this holiday season! 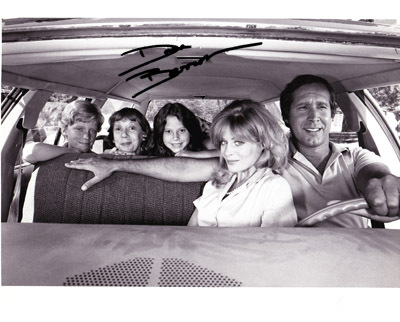 Autographed by "Audrey" herself, Dana Barron. We are not responcible for damage to your item that occurs due to shipping. Pack it well! You will be emailed the address to send your item to after checkout is complete. 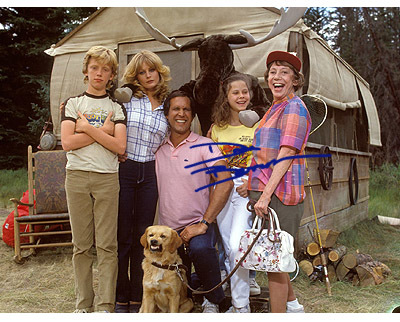 This 8x10 Photo showing Dana Barron in one of her acting roles will be hand signed by Dana herself. 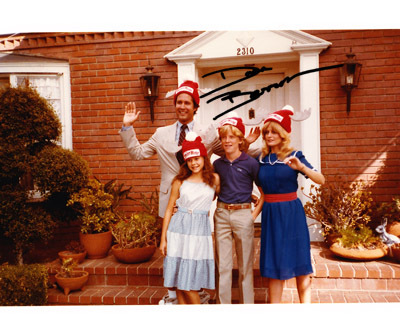 NOTE: The image to the left is just an example of the signed photo you will receive. 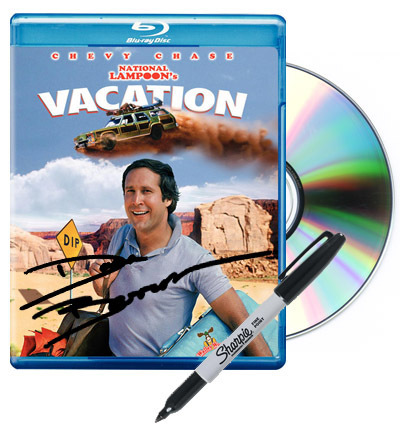 Size and placement of the signature may vary.